I’m not someone usually much interested in the utterances of seemingly superficial, hedonistic celebrities, but this week Russell Brand has created quite a stir and opened up mainstream political discourse in ways not normally given much media attention. In the few days since he guest edited New Statesman and was interviewed on TV by Paxman, his views have come in for some serious and very sympathetic consideration on various unlikely places, such as the Claverton Energy Group and at a 60th birthday party in rural Herefordshire. In the New Statesman article Russell Brand cites one of my old heroes, Buckminster Fuller, saying ‘humanity now faces a choice: oblivion or utopia’. I would agree that ‘We’re inertly ambling towards oblivion’ and yes, we do need seriously need to ask the question ‘is utopia really an option?’ Russell Brand is very good at articulating the way many, perhaps most, people in the UK and around the world are disengaged from the political process. The banking crisis and subsequent quantitative easing and austerity have seen the biggest and fastest transfer of wealth in human history from the bottom 99% of the population to the top 1%. The three main political parties and the media in the main only represent the views and interests of the 1%. Levels of outrage and fury amongst the 99% are at ever greater levels. Contemporary capitalism is failing humanity’s basic existential requirement to ensure a healthy planet. 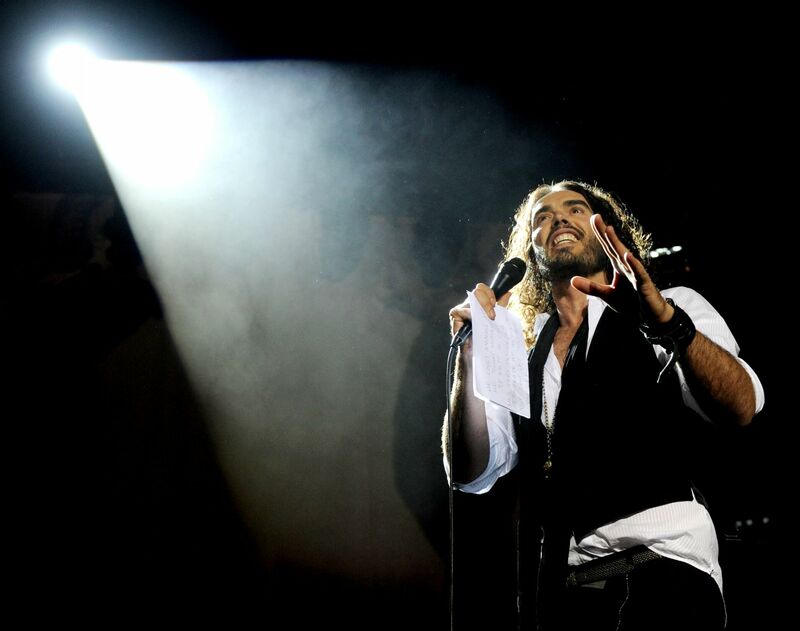 Russell Brand is right to say the time for revolution is now. Our continued existence as a species may depend on it. Russell Brand is good on the need for utopian revolution, but clearly he has not thought through what that world might look like. That, at its core is what all my work over the last decade or so has been trying to articulate. I would dearly love Russell Brand’s access to the media! The kind of revolution that both Russell Brand and I would like is not some old fashioned violent Marxist revolution but a peaceful one that starts from the individual human consciousness but also manifests politically. Quite what that utopian world would be like and how we might get there Russell Brand seemed unclear about, but is the topic of an essay I’m currently writing and hope to publish in a few months. Do please get in touch to pre-order your copies now! Russell Brand might even want to read it and maybe Paxman too! This entry was posted in Environmental, Politics, Social on 30 October 2013 by Richard. On Tuesday I was speaking at the Courtyard Theatre in Hereford. I had a 15 minute slot and my brief was to talk about the exciting possibilities of what could be achieved if we in Herefordshire rise to the energy challenge. I wanted to pack-in many of the ideas and technologies I write about on this blog, and to present them in my usual enthusiastic manner. To do this I always speak without notes and use slide pictures of different technologies and minimal text. I romped through an awful lot of ideas in the allotted 15 minutes. Afterwards I got lots of positive feedback about how people liked my presentation. The downside of such rapid and unscripted speaking is that factual errors are more likely to creep in than when one goes more slowly, and to really be sure never to make silly errors clearly it is best to speak from, and stick closely to, written notes. However this can be very dull for an audience to listen to. It’s a difficult balance to strike. I did make one error that I’m aware of on Tuesday, and that was to say that UK uses gas to generate about 80% of its electricity. Soon after I said it I realized my error, but too late to correct it. The figures should have been that we use gas for 80% of our domestic space heating and for about 40% of our electricity generation. My basic point was to stress how vulnerable we are, given the growing predominance of imports from Russia and the Persian Gulf. I also wanted to stress the ridiculousness of Ed Miliband’s promise to freeze energy prices, as if he had any control over what price the global market sets for gas. Despite the error I think the message came over loud and clear that I think we need to reduce our dependency on gas imports, as well as rapidly reducing coal and nuclear useage, and the way to go is a major investment in energy efficiency and a whole basket of renewable energy technologies that ideally should be led by local renewable energy coops. Apologies for the error: I hope my message was still clear, and that it was also factually creditable apart from this one error. This entry was posted in Miscellaneous on 19 October 2013 by Richard. It is October and h.Energy is here again. This is its fourth year and it’s bigger than ever, with about 130 sustainability focused events taking place between 12th and 20th October. As ever it’s organized by New Leaf, and there is a link below to their latest newsletter which in a couple of sides summarizes the week’s activities and has links to the full brochure and to lots of the individual events. What is billed as the keynote event takes place at the Courtyard Theatre in Hereford on Tuesday 15th October at 7.30 pm. 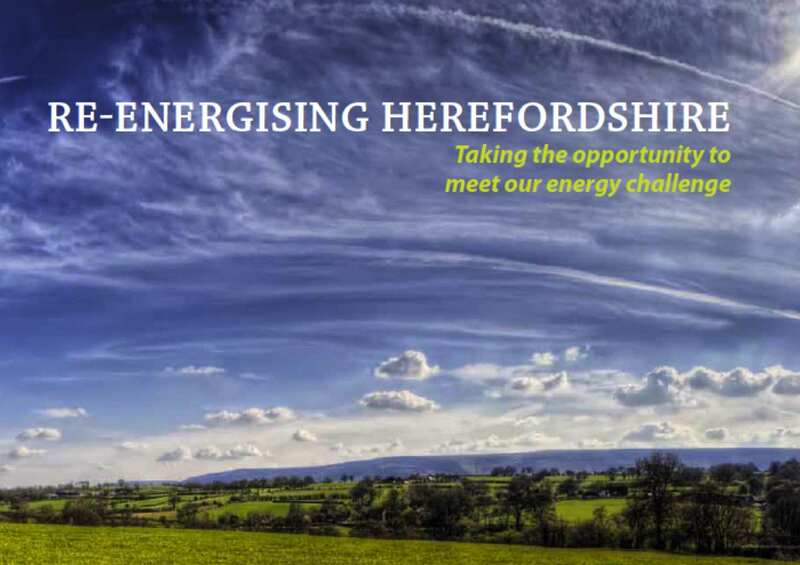 The event is titled ‘Re-energising Herefordshire: Taking the opportunity to meet our energy challenge’ and it will also be the launch of the new carbon reduction charter for Herefordshire. Rob Garner from New Leaf and Roger Phillips from Herefordshire will talk about the charter, what’s been done and what’s planned, I’ll speak about some of the exciting possibilities of what could be achieved, and Jane Davidson will speak about the Welsh experience of this kind of agenda. Guardian journalist Oliver Balch will be chairing proceedings. There will be lots of opportunities to ask questions and to participate. I know that this blog has a scattering of readers all over the world, but a lot in and around Herefordshire, and I would urge all of you who can make it to come along to the Courtyard on Tuesday 15th. The event will start promptly at 7.30, but do come around 7.00 pm to chat and network in the foyer, and do introduce yourselves to me if you read this blog but do not yet know me! This entry was posted in Climate Change, Local, Politics on 10 October 2013 by Richard.